GlobalGolf / Accessories / Golf Tees / Pride / ProLength Max PTS Green 4"
(14 reviews) Write a review! 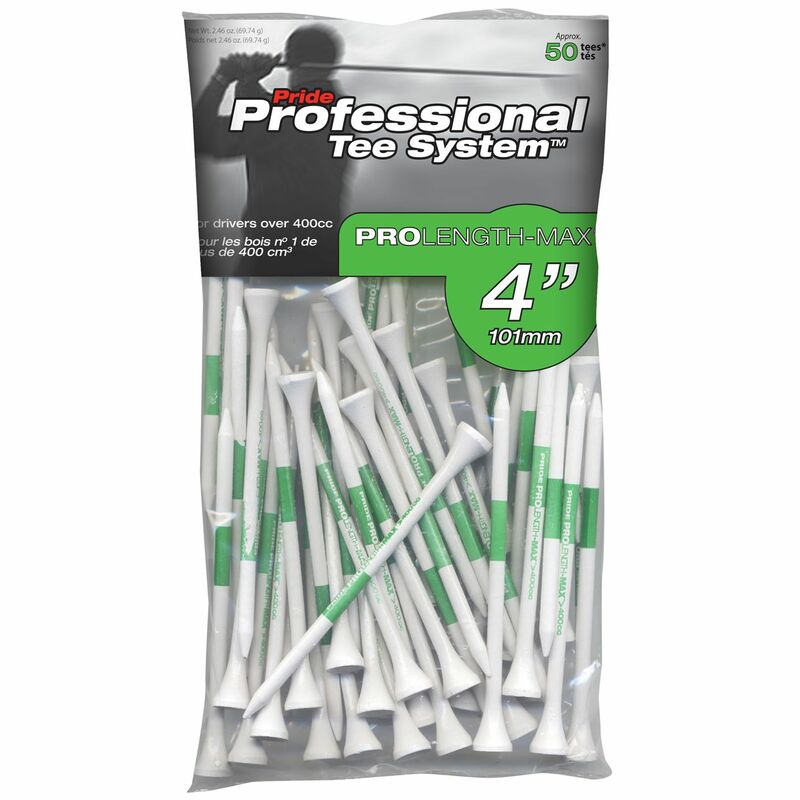 The ProLength Max Professional Tee System is the first branded tee system of any kind. Color-coded bars on each tee distinguish proper tee sizes to use for any club choice. Use what PGA Tour players use! Each ProLength Max PTS bag contains approximately 50 tees. Maximize the impact angle with the longest teel allowed by the USGA. Used by many long-drive champions. If you're gonna hit bombs this should be your launch pad. If you're not hitting off a 4" tee you are robbing youself of distance. It's the best $5 you can spend to improve your tee shots. The green color gives me the consistent height for my driver. Love it. Nice tees for the price. Sometimes I need something little longer than a 3-1/4 tee. Good tee for certain conditions.